East Abbotsford 1220 sq.ft. 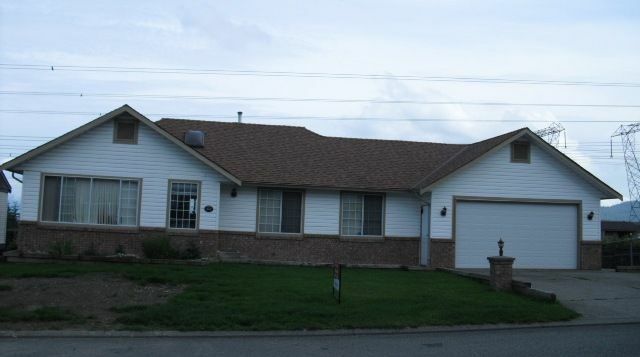 Rancher with full 1200 sq.ft Basement 24'x20' double garage. 72'x122' fenced yard, backyard is very large for lots of family fun. Compact kitchen w/small eating area & door access to deck. Dining has alcove forchina cabinet & patio doors to large deck. Gas fireplace in large living room. 3 bedrooms on main, master with 3 pc ensuite & 2 closets. Open staircase to basement right off foyer. Large rec room with patio doors to rear yard, laundry has cabinets above W/D, big storage/utility room, 4 pc bathroom. TENANTED - 24 HOUR NOTICE PLS.